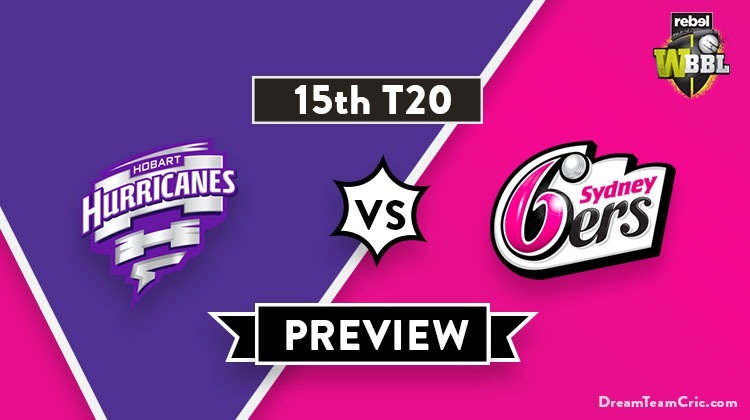 Hello and Welcome to our preview for Hobart Hurricanes vs Sydney Sixers match. We are covering HB-W vs SS-W Dream11 Team Prediction, Preview and Probable Playing XI for the Women’s Big Bash League 2018-19 match. The match is to be played at Bellerive Oval, Hobart. Hobart Hurricanes have won one and lost two encounters yet in the tournament. Their only win came against Melbourne Stars in their last encounter. Batting first, Smriti Mandhana played an attacking knock of 69 runs in 41 balls and was supported by Hayley Matthews and H Knight who scored 42 and 23 runs respectively. Quick cameos by C Hall and Moloney led them to a total of 196 runs. With the ball, Heather Knight took a three-wicket haul whereas V Pyke and M Phillips took two wickets each to provide a 72 run win to their team. 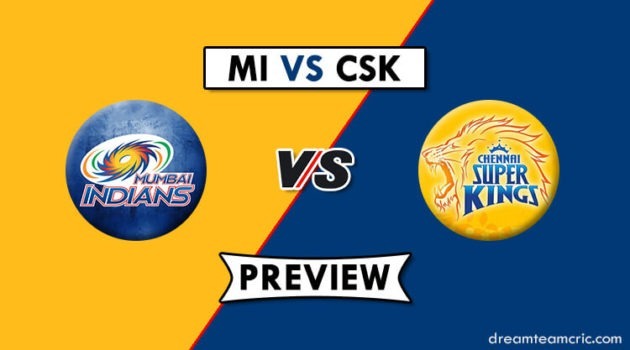 They will hope to give a tough challenge to the mighty Sixers team. Sydney Sixers are on the top of points table with two wins and one loss. They are coming with two easy victories and have momentum on their side. In the last match, They defeated Sydney Thunders by 36 runs. Ellyse Perry continued her form scoring another unbeaten knock of 74* runs and was supported by 22-ball 44 run knock of Erin Burns to lead the team to a total of 168. E Perry took two wickets with the ball also along with L Cheatle to restrict Thunders at 132 runs only. They will hope to continue their winning momentum ahead in the tournament. HB-W VS SS-W, 15th Match, Women’s Big Bash League 2018-19. Stefanie Daffara, Erin Fazackerley, Katelyn Fryett, Corinne Hall, Brooke Hepburn, Heather Knight (OS), Smriti Mandhana (OS), Sasha Moloney (C), Rhiann O’Donnell, Meg Phillips, Veronica Pyke, Georgia Redmayne, Alex Hartley, Mikayla Hinkley, Brooke Hepburn. Alyssa Healy (wk), Marizanne Kapp, Carly Leeson, Sara McGlashan, Ellyse Perry, Hayley Silver-Holmes, Lauren Smith, Dane van Niekerk, Tahlia Wilson, Erin Burns, Lauren Cheatle, Ashleigh Gardner. They have declared 15 women squad for the match. Hayley Matthews is expected to miss 4-6 weeks after sustaining a knee injury. Alex Hartley replaces her in the squad. Mikayla Hinkley comes in the squad as an injury replacement for all-rounder Emma Thompson. Smriti Mandhana and Erin Fazackerley will open the innings. Heather Knight, Corinne Hall and Georgia Redmayne will follow them. V Pyke, Meg Phillips and Brooke Hepburn will be the key pacers while Sasha Moloney and H Knight will lead the spin attack. One among Alex Hartley and Mikayla Hinkley will play. If a batting allrounder is preferred, Then the latter can be considered. Chances of Alex Hartley are more. They have declared 12 women squad for the match. Sarah Aley has been removed from the squad. Tahlia Wilson will most probably replace her in the playing XI. E Perry, Ashleigh Gardner, Erin Burns, Sara Mcglashan, Dane Van Niekerk and Marizanne Kapp will play the role of allrounders. Ellyse Perry, Marizanne Kapp, Hayley Silver-Holmes and Lauren Cheatle will lead the pace attack while Dane Van Niekerk and Lauren Smith will be the key spinners along with A Gardner and Erin Burns. Smriti Mandhana, Erin Fazackerley, Heather Knight, Stefanie Daffara, Corinne Hall, Georgia Redmayne (wk), Alex Hartley/Mikayla Hinkley, Sasha Moloney (C), Veronica Pyke, Meg Phillips, Brooke Hepburn. Alyssa Healy (wk), Ellyse Perry (c), Ashleigh Gardner, Erin Burns, Sara McGlashan, Dane Van Niekerk, Marizanne Kapp, Hayley Silver-Holmes, Lauren Smith, Tahlia Wilson, Lauren Cheatle. Captain and Vc choices: E Perry, Heather Knight, S Mandhana, E Burns, A Healy. 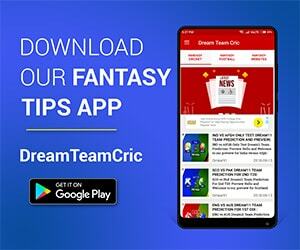 If you liked HB-W vs SS-W Dream11 prediction, then follow us on Twitter for Latest Cricket News and Grand League Teams.